Please browse the website and get in contact if you require information about the services we provide. We have been dj'ing for nearly 15 years, with a wealth of experience in the entertainment industry. We provide Online Party Planners to help plan your event. Provide us with the information about your event and you can also access our music database so you can give us a playlist of your favourite songs. We are also happy to accept song requests from your guests at the event! 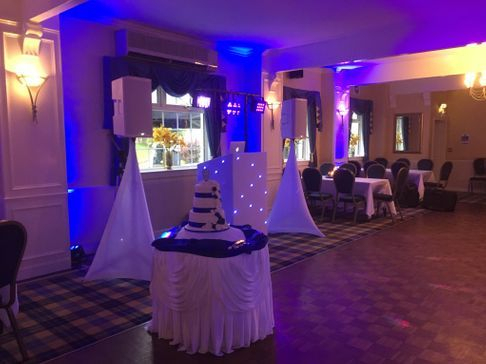 If you require entertainment for your wedding , please go to our Wedding page and see how we can help you plan your special day. 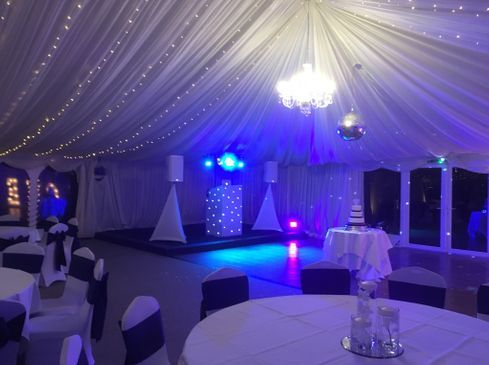 As well as having an extensive music library that caters for all tastes in music, we have the skill to use it to enhance your celebration or event and give you a fabulous disco experience. Our Video Disco is also proving very popular. Your favourite tunes along with the original video. Something different for your party! Have a look at our Playlists page for some reminders of popular party tracks that can be added to your song request list. Call Paul on 07759 066662 or fill out the enquiry form below for more information. 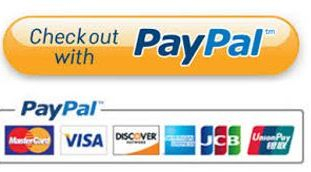 We accept all debit/credit cards and Paypal. Helping you to spread the cost of your event. I just wanted to say thank you for being the best DJ at my wedding. All our friends & family loved it and I will highly recommend you to everyone. I'm still dancing and thanks for the amazing wedding day. We had a great time and thanks very much. Seen the video on Facebook and we were crying with laughter at our friend Jamie dancing. Thank you for a brilliant day. So many of our guests thought you were great. We loved the Mr and Mrs game! The questions were perfect and so funny. We couldn't have asked for anymore. database to pick our playlist. a video for us to look back on,which was perfect! Thank you Paul for making our wedding reception. Your attention to detail and exceptional service from first inquiry to last dance was second to none. Many of our guests have commented on how good the evening was and that was all down to you. I can't thank you enough and will definitely be recommending your DJ service to others. Gone are the days when the DJ rig at a wedding took over half the room. 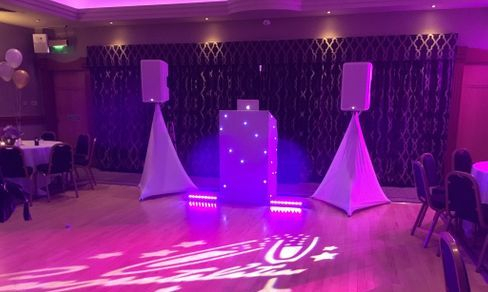 The modern Wedding DJ has available, better lighting and compact sound systems and we design our system to fit into any venue and look elegant. 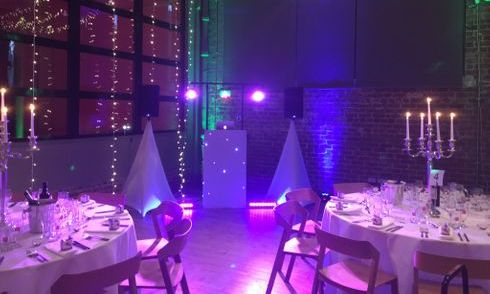 An attactive booth with the latest LED lighting which not only gives a great classic "disco' feel but it also enhances the ambience of your event.